As industrial process becomes increasingly complicated and the correlation between industrial process variables tends to exhibit strong nonlinear characteristics, how to effectively and visually monitor industrial operation states is challenging. Amethod based on kernel Fisher vector and self-organizing map networks (KFV-SOM) is proposed to improve the visualization of process monitoring. InKFV-SOM, kernel Fisher discriminant analysis is first employed to map data into high-dimensional space by using a nonlinear function, and the optimal Fisher feature vector, which can represent industrial operation states fittingly, is extracted. Thatis, the normal state and different kinds of faults can be distinguished well in the Fisher feature vector space. Thetopological structure of the Fisher feature vector space is then visualized intuitively on the two-dimensional output map of self-organizing map (SOM) with the Fisher feature vector as the input of the SOM network. Thus, the KFV-SOM caneffectively realize the visualization of monitoring. Continuousstirred tank reactor process is applied to illustrate the capability of KFV-SOM. Resultshows that KFV-SOM caneffectively visualize monitoring, and it is better in showing the operation states of normal state and different kinds of faults on the output map of the SOM networkthan SOM, SOM integratedwith principal component analysis, SOM integratedwith correlative component analysis, SOM integratedwith Fisher discriminant analysis, and SOM integratedwith canonical variable analysis. Recommended by Associate Editor Mathiyalagan Kalidass under the direction of Editor Jay H. Lee. This work was supported by the National Natural Science Foundation of China (21878081) and Fundamental Research Funds for the Central Universities under Grant of China (222201917006). Wei-Peng Lu received his B.S. degreein Automation from East China University of Science and Technology in 2017. Heis currently studying for a master’s degree in the same graduate school. Hisresearch interests include fault diagnosis and visual process monitoring. Xue-Feng Yan received his Ph.D. degreein Control Theory and Engineering from Zhejiang University in 2002. Heis now a professor of East China University of Science and Technology. Hisresearch interests include complex chemical process modeling, optimizing and controlling, process monitoring, fault diagnosis, and intelligent information processing. 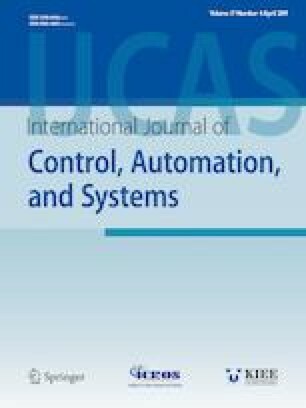 Heis a member of Chinese Association of Automation.